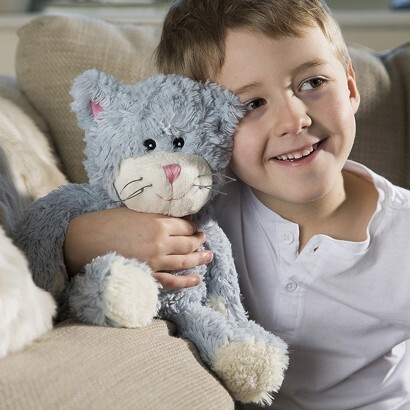 Cute, cuddly and warming from within, this adorable plush blue cat can be popped in the microwave to give the warmest of cosy hugs! 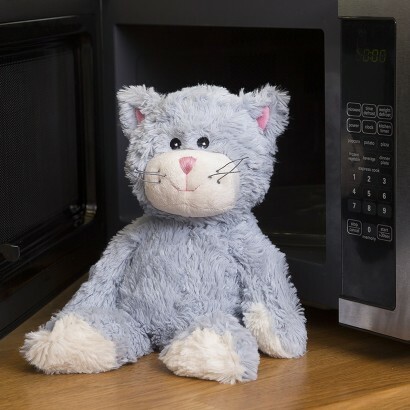 Filled with treated organic material and dried French lavender, pop this soft and snuggly plush cat in the microwave for up to 90 seconds, and it will emerge toasty warm ready to soothe and hug. 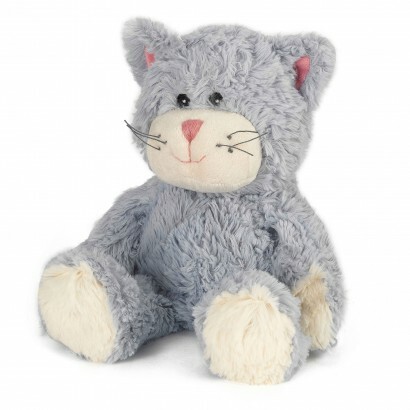 Perfect for cold nights, snuggle on the sofa, or pop into cold beds to warm, she can even help to soothe aches and pains!